Elections in Luxembourg are held to determine the political composition of the representative institutions of the Grand Duchy of Luxembourg. Luxembourg is a liberal representative democracy, with universal suffrage guaranteed under the constitution. Elections are held regularly, and are considered to be fair and free. Separate elections are held to elect representatives at communal, national, and European levels. 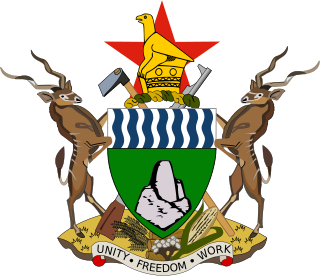 The main institution to which members are elected is the Chamber of Deputies, the national legislature and the sole source of membership, confidence, and supply of the government. Luxembourg is represented by six MEPs to the European Parliament, who are elected simultaneously with elections held in other European Union member states. The country has a multi-party system, traditionally defined by the existence of three large political parties: the Christian Social People's Party (CSV), the Democratic Party (DP), and the Luxembourg Socialist Workers' Party (LSAP). Historically, the three parties have won a large majority of the votes between them, but their total percentage has fallen recently, such that two additional parties, the Greens and the Alternative Democratic Reform Party (ADR) have recorded over 9% of votes at each of last two legislative elections. The CSV (and its predecessor) has provided the Prime Minister for all but six years since 1918, and has always been the largest party in the legislature. In this respect, Luxembourg has certain features of a dominant-party system, although coalition governments are the norm. Luxembourg's national legislature is the unicameral Chamber of Deputies (Luxembourgish Châmber vun Députéirten, French: Chambre des députés, German: Abgeordnetenkammer). The Chamber has 60 members, known as 'deputies', elected for a five-year term in four multi-seat constituencies, known as 'circonscriptions'. Seats are allocated by proportional representation, using the Hagenbach-Bischoff system. Voting is compulsory for all voters on the electoral register. The four legislative circonscriptions of Luxembourg are the constituencies for elections to the Chamber of Deputies. One must be a Luxembourgish citizen. One must be eighteen years of age on election day. One must never have been convicted of a criminal offence. One must otherwise be in full possession of one's political rights (e.g. not be certified as insane). In addition to the criteria outlined above, to stand for election to the Chamber of Deputies, one must be resident in Luxembourg. Furthermore, one cannot be a candidate if one is a judge or a member of the Council of State. Deputies are elected from four constituencies ('circonscriptions'). They are arranged geographically, as combinations of the twelve traditional cantons. The four circonscriptions are Centre, Est, Nord, Sud. As the constituencies are based on geographic region and traditional borders, they have greatly differing populations. To reflect this, each circonscription elects a different number of deputies; Sud, with 40% of the national population, elects twenty-three deputies, whilst Est, with only 12% of the population, elects seven. Voters can cast as many votes as their circonscription elects deputies (so, in Est, one can vote for up to seven candidates), which can be spread across party lists or concentrated behind one single party. The seats are allocated according to the Hagenbach-Bischoff system. Since 1979, Luxembourg has elected members to the European Parliament, which is the primary representative organ of the EU, and, with the Council of the European Union, forms its legislative branch. Due to its small size, the Grand Duchy elects just six members out of a total of 732, which is more than only Malta (which elects five MEPs); nonetheless, Luxembourg's representation is disproportionately large compared to its population, and Luxembourg elects more MEPs per capita than any other country (see: Apportionment in the European Parliament). MEPs are elected to five-year terms. The exact date of elections is decided by Luxembourg, allowing it to schedule them on the same date as elections to the Chamber of Deputies (as is usually the case). One must be a citizen of the European Union. One must otherwise be in full possession of one's political rights (e.g. not be certified as insane) in one's own country of citizenship (Luxembourg or another member state). If not a Luxembourgish citizen, must have been resident in Luxembourg for at least five of the past six years when enrolling on the electoral register. In addition to the criteria outlined above, to stand for election to the European Parliament, one must be resident in Luxembourg. There are also extra requirements if one is a non-Luxembourgish citizen, in which case, one must be in full possession of one's political rights in both Luxembourg and one's country of citizenship (if not a Luxembourgish national), and have resided in Luxembourg for the past five years (and not just five of the past six). The seats are allocated according to the D'Hondt method. Each commune (municipality) has an elected communal council. The number of councillors varies from 7 to 19 based on the number of inhabitants; the exception being the City of Luxembourg where its communal council consists of 27 members. The councillors are directly elected every six years on the second Sunday of October. The last elections were held on 8 October 2017. The law of 15 December 2017 further defines that, in case the parliamentary and communal elections coincide, the latter are held in June of that year. The referendum was introduced into the Constitution of Luxembourg by the constitutional revision of 1919. The Constitution mentions the referendum in Article 51: "Voters will be asked to vote by way of referendum in the cases and under the conditions determined by law." The only details about execution of referendums are found in Article 114 which deals with constitutional amendments. There are no other provisions regarding referendums in Luxembourg. or 25 thousand registered voters. The referendum on constitutional amendment (defined in Article 114) is binding. Referendums in general (defined in Article 51) are not explicitly stated to be binding. The general framework of the organizational arrangements of referendums is established by "The Act of 4 February 2005 on the national referendum". None of the referendums were constitutional amendments, so were non-binding. ^ a b c d e f g h "About... Political Institutions" (PDF). Service Information et Presse. February 2004. Retrieved 2006-08-06. ^ "IPU PARLINE database: LUXEMBOURG (Chambre des Députés), Electoral system". Inter-Parliamentary Union. Retrieved 2016-06-19. 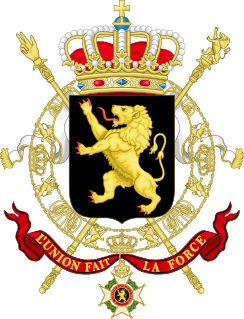 ^ a b c d "The referendum in the Grand Duchy of Luxembourg" (in French). Government of Luxembourg. 2011-12-30. Retrieved 2013-11-03. Fehlen, Fernand (November 1993). "Le panachage ou le fonctionnement du champ politique luxembourgeois" (PDF). forum (in French) (147): 14-22. Retrieved 13 January 2016. Romania's political framework is a semi-presidential representative democratic republic where the Prime Minister is the head of government and the President is the head of state. Executive power is exercised by the President of the republic and the government. Romania has a multi-party system, with legislative power vested in the government and the two chambers of Parliament: the Chamber of Deputies and the Senate. The judiciary is independent of the executive and the legislature. Until 1989, the communist rule political structure took place in the framework of a one-party socialist republic governed by the Romanian Communist Party as its only legal party. 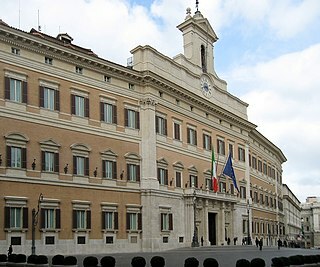 Italy elects, at the national level, a Parliament consisting of two houses: the Chamber of Deputies with 630 members; and the Senate of the Republic with 315 elected members, plus a few senators for life. The President of the Republic is elected for a seven-year term by the two houses of Parliament in joint session. 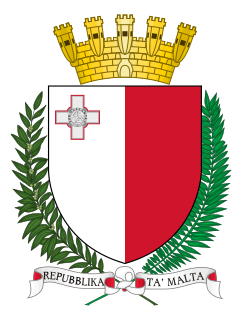 Malta elects on a national level 6 MEPs representing Malta in the European Parliament, on a district level the legislature, On a local level the Local Councils and on a community level the Administrative Committees. 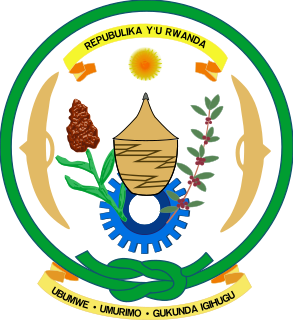 Elections in Rwanda take place within the framework of a multi-party democracy and a presidential system. The President and majority of members of the Chamber of Deputies are directly elected, whilst the Senate is indirectly elected and partly appointed.